Ukraine and Russia are meeting Monday with European Union officials to hash out an ongoing dispute about transporting gas to the EU. 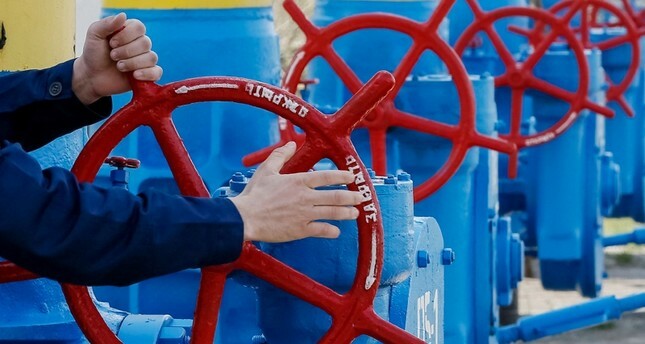 Several EU member states are reliant on gas supplies from Russia, much of which is routed through Ukraine under a 10-year contract that is due to expire at the end of 2019. Kiev fears losing revenue once the contract ends, amid political tensions with Moscow as well as Russian plans to build a new gas pipeline to Europe, circumventing Ukraine. In 2017, the Ukrainian state-owned company Naftogaz made nearly 1.1 billion euros ($1.27 billion) in profit from the transit of almost 94 billion cubic metres of gas to Western Europe. The transit earnings are the source of up to 3 percent of Ukrainian gross domestic product. The North Stream 2 pipeline, once completed, would connect Russia to Germany across the Baltic Sea. Ukraine fears that the project, under Russian gas giant Gazprom, would cut it off from gas transit revenue in the long run. "Gazprom is delaying real talks in terms of transit in order to build Nord Stream 2 and then to have a different negotiating position," Naftogaz Deputy Chief Executive Yuriy Vitrenko told Reuters before the talks on Monday. "Then they will say, 'We are OK without any Ukrainian transits at all'." U.S. President Donald Trump has also lambasted Germany over the project. Tensions between Russia and Ukraine have spiked since 2014, when Russia invaded the Ukrainian peninsula of Crimea and Russian-backed separatists tried to secede in eastern Ukraine. But the two have clashed about gas since 2005, and delivery has been punctuated by interruptions. Monday's meeting brings together the top EU energy official, Maros Sefcovic, Ukrainian Foreign Minister Pavlo Klimkin, Naftogaz chief Andriy Kobolyev, Russian Energy Minister Alexander Novak and Gazprom Deputy Chairman Alexander Medvedev. "We need a strong commitment by the two sides to advance in the talks," Sefcovic said Friday. As Monday negotiations yielded no concrete results Novak said Russia and Ukraine will meet for further gas talks in May.